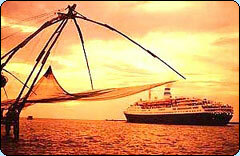 A S Marine Industries was established in the year 1995. Since its inception it has grown from a small venture to a fast growing organization with worldwide connections. It is one of the few companies in the country which pioneered in the export of Frozen Seafood. The company is based at Cochin, having wide network throughout the Indian Sub-continent actively engaged in procurement, processing and marketing of all seafood products to the International market. Located at the major Fishing port in Cochin, the product facilities are centrally placed in relation to the fishing fleet and fishing ground. 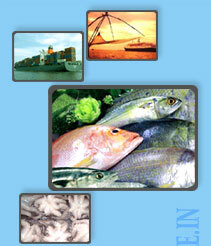 A S Marine Industries Private Limited stands for maintaining high standards in quality freshness and succulence. From selection of raw material upto export we are particularly keeping up the guidelines accepted internationally. The success of our company is based on a combination of quality and competitiveness. The production facilities do well equipped with most modern equipments and high capacity freezers, store rooms maintained at very low temperature. The 'Camel Brand' of the company has been recognized world over as a quality product of the highest grade providing the best value for money. Company realizes that the success emerges from access of ocean-fresh raw material, speed and excellence in processing, efficiency in packaging and the adherence to stringent quality control measures. All along the process line company draws the strength from managerial competence, supervisors expertise, skilled workforce and computerized administration. Our major global market which includes Asia, Australia, Europe and US. A S Marine Industries Private Limited is pleased to welcome customers who are interested in our products. We wish for satisfying your requirements with reasonable price and quality of the products. © 2006 A S Marine Industries Private Limited. All rights reserved.